With a population of 1.4 billion people and the second largest GDP in the world, China is becoming a very important pharmaceutical market (third largest in 2012, second largest in 2016). With this growth comes the very real potential for facility capacity constraints, especially for biologics. Based on data in our recently released analysis and directory, Top 60 Biopharmaceutical Facilities in China,1 many domestic biologics makers are upgrading their production facilities to meet expanding demand. Many are using single-use technologies, and some are beginning to incorporate modular bioprocessing platforms. Launching a new drug anywhere is a long-term process, and this is especially the case for pharmaceutical multinational corporations involved in China’s markets. At present, time-to-market in China is approximately 4–6 years moving from small-scale clinical production to GMP inspection for commercial production. And although recently drafted reforms are being put into action to speed up the process, time-to-market is a critical factor in China. In fact, according to BioPlan’s recent study of 50 senior Chinese bioprocessing executives,2 along with improved quality image and more innovative pipelines, the need for technical expertise, scale-up expertise and capacity top the list. Modular bioprocessing can support quality production by building-in key quality production aspects into the facility or production equipment. This can reduce the need for technical expertise and improve overall access to capacity. While regulatory reforms to shorten drug development cycles are taking place in China, drug makers also need to strategically improve speed to market. GE Healthcare, a supplier of bioprocessing solutions, sees modular bioprocess facilities as one answer to the challenge of getting a facility up and running within a shorter time frame. With today’s requirements for facility construction, laboratory infrastructure assembly, and drug substance (DS) and drug product (DP) process development, total time to commission a new conventional facility can take close to four years. Modular facilities can shorten construction time and simplify facility controls through engineering. They can also save space and significantly reduce utility costs, according to Weidong Cui, Ph.D., corporate vice president of manufacturing and technology at JHL Biotech, one of the first companies to adopt a modular factory for bioprocessing in China. Modular solutions also offer integrated development, transportability of data, a common platform that is easier to support, as well as development work before construction. With lower costs upfront as well as shorter time to market and faster revenue growth, modular factories based on single-use technology have the potential to significantly increase net present value of a drug project. For example, GE’s fast-track service for outsourcing process development has been reported to have successfully converted from conventional to single-use technology, while scaling up from 10 L to 200 L at a titer requirement of 3–4 g/L, in 5 months. Customers’ internal timelines for work of similar scope had been estimated to be 18 months. GE’s KUBio facility, for cGMP-compliant monoclonal antibody production, has demonstrated time savings. With modular, factory-built units that are final assembled on a customer site, a KUBio facility can be fully operational in 18–24 months. Modular factories are regarded by some in China as an expensive solution, but with the demand for capacity rising, it may become increasingly needed. In June 2016, Pfizer China broke ground for its first biologics production facility in China, based on GE’s modular factory platform. “As governments and companies the world over strive to give patients access to…biological medicines, GE’s KUBio modular factories allow biopharmaceutical companies to get their products to market quickly [through] modular construction and single-use technologies,” said Kieran Murphy, CEO and president, GE Healthcare Life Sciences. There have been concerns about the transition from stainless-steel systems to single-use technology from a regulatory perspective. Scott Liu, Ph.D., president and CEO of Henlius Pharma, a monoclonal therapeutics company in Shanghai, stated that lack of validation standards in GMP production in single-use technology, especially commercial-scale manufacturing of monoclonal antibody drugs, may cause delays in drug evaluations by the CFDA. But with an evolving CFDA, closer cooperation between drug makers and the regulatory authority during the validation process, as well as single-use technology becoming more mainstream globally, industry insiders in China expect delays to be less of an issue in the near future. While single-use technology is booming in China’s biopharmaceutical companies, especially in new, small-to-medium Chinese biotech companies (where it can significantly reduce upfront costs), currently only JHL Biotech and Pfizer’s Hangzhou biological center use the modular factory solution, according to the Top 60 Biopharmaceutical Facilities in China. But more are likely to follow, given the long-term plans for capacity build-out for mid-scale facilities in China. 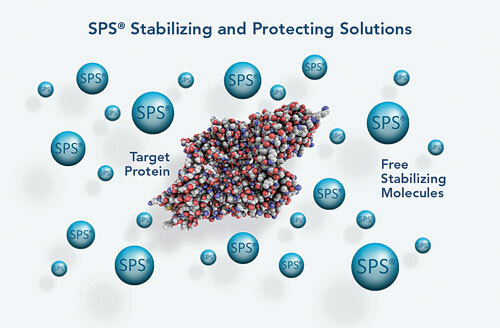 Many domestic Chinese biopharma companies, especially drug makers with relatively long histories, and existing facilities still intend to use stainless-steel systems for commercial-scale production. However, even these companies plan to implement single-use technologies at lab- and pilot-scale facilities. Modular factories have more stringent planning requirements for production-scale because it is harder to expand capacity once installed, so clients need to plan production 5–10 years into the future. Further, higher prices and greater dependence upon single-use technology may make modular platforms unattractive for commercial-scale production, especially for cost-sensitive manufacturers. Others are considering single-use/stainless-steel hybrid solutions, such as using a combination of single-use bioreactors and stainless-steel tanks for buffer preparation. 3S Guojian, the first monoclonal antibody drug maker in China, for example, is already using this type of hybrid system. With the rising popularity of single-use technologies, the increased number of new companies entering biologics, and the expansion of biologics pipelines with innovative domestic products, as well as biosimilar market entries, we will see more companies implementing single-use technology platforms. Many companies, especially those planning new facilities and focusing on time-to-market, will be considering modular manufacturing strategies in the near future. Vicky Qing Xia (vxia@bioplanassociates.com) is project director and Leo Cai Yang is project manager at BioPlan Associates. 1. Top 60 Biopharmaceutical Facilities in China. February 2017. BioPlan Associates, Inc., Rockville, MD, www.bioplanassociates.com. 2. 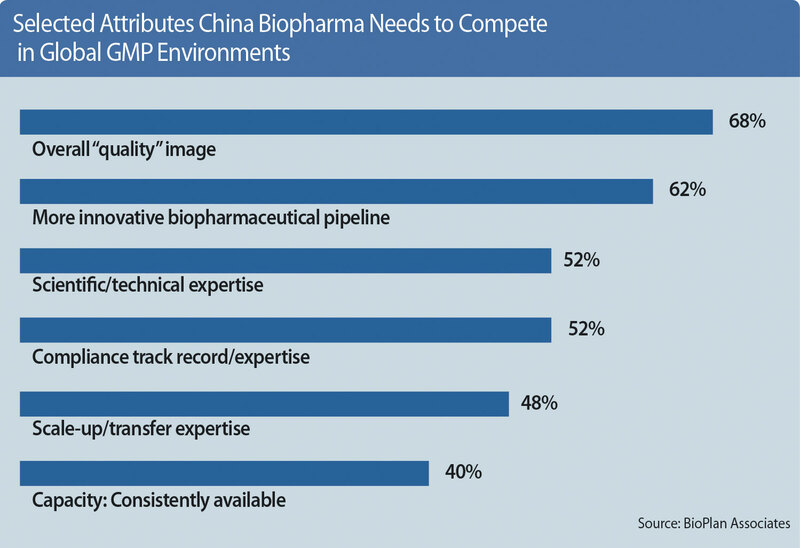 China’s Advances in Global Biopharma and Bioprocessing: White Paper Survey of 50 Chinese Biopharmaceutical Executives. January 2017. BioPlan Associates, Inc. Rockville MD, www.bioplanassociates.com.